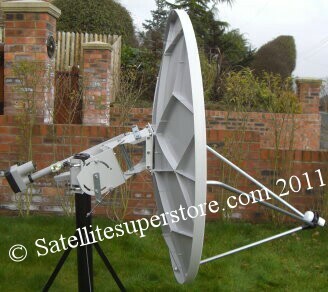 C Band equipment from the Satellite Superstore UK. 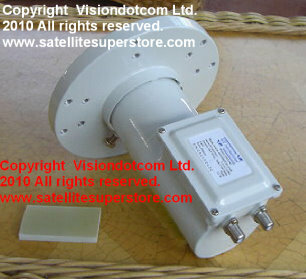 C Band LNB 13K, C band voltage switching LNBs, C band and Ku band LNBs. 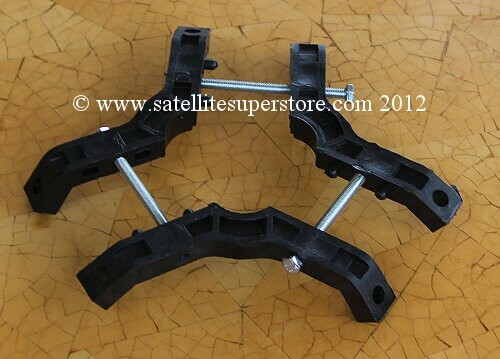 Offset C Band feedhorns. Prime focus C Band feedhorns. 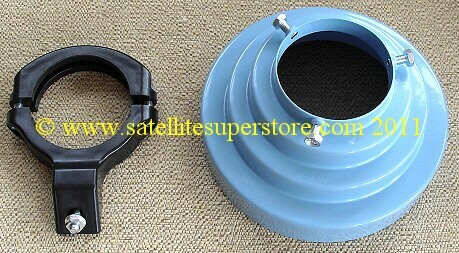 Twin C Band LNBs, Voltage switching C Band LNB. 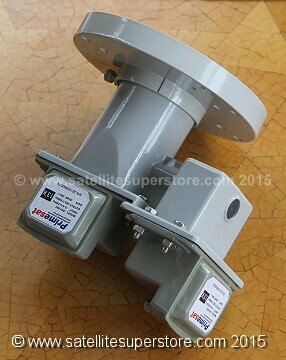 Twin C Band voltage switching LNB. 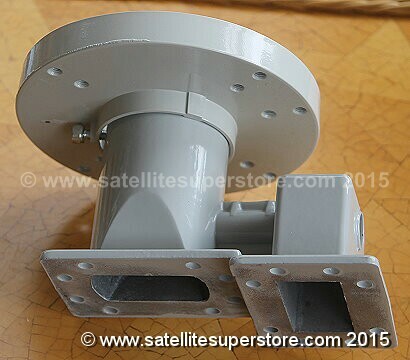 C band 13C block type LNB. 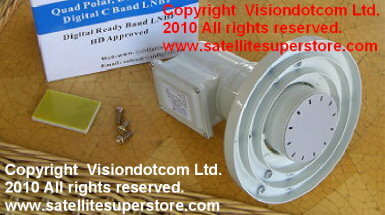 C band and Ku band voltage switching LNB. C Band Advice. 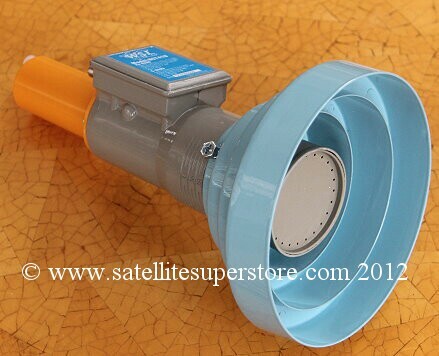 Voltage switching * C band & Ku band LNB single C Band LNB twin C Band LNB quad C Band LNB * C Band Menu Page. or they could come down three cables, being kept separate, to two or three receivers. 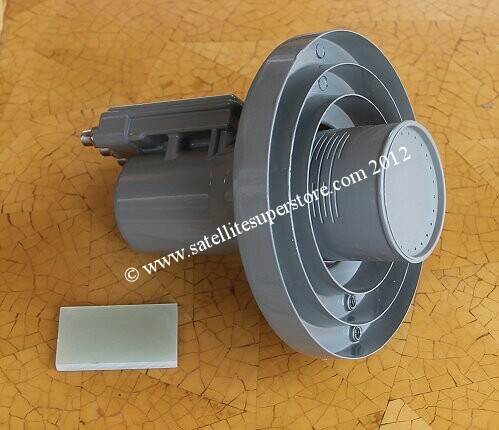 The Ku band LNB is a universal LNB. 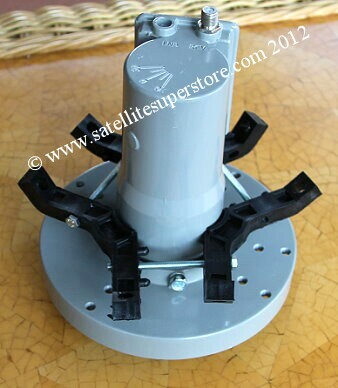 has 3 arms and you need a 60mm feed support boss to hold the C band LNB this is also available only with our c band LNBs. A Dielectric plate is included for both linear and circular polarisation. 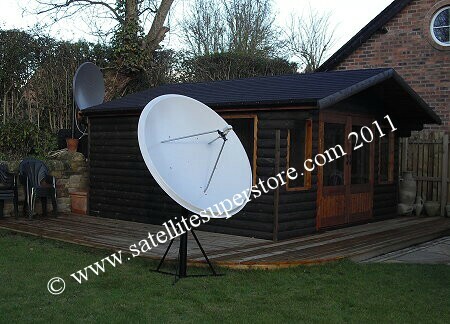 A 1.8m prime focus dish with C Band LNB option is available from the motorised dishes page. support arm. 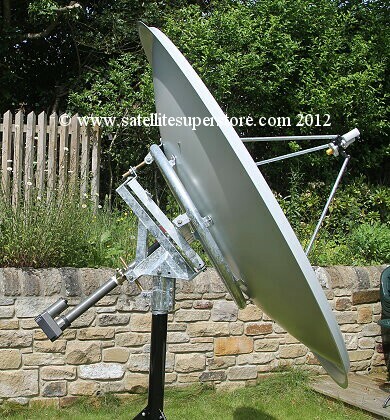 The Gibertini 1.5m dish would be an example of a dish this kit should adapt to quite easily. for the Raven dish is needed. "Free UK delivery" - UK shipping option No 1 (or priority options 4-7). is received before our cut-off times but there is also a next day priority delivery option at only �6.50 if required. Prime Focus Feed - Twin C and single Ku Band (universal) voltage switching LNBF. 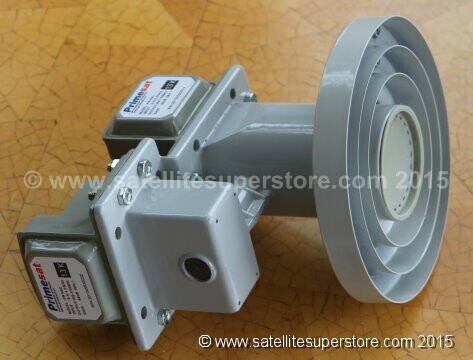 Offset Feed - Twin C and single Ku Band (universal) voltage switching LNBF. This kit comes with the offset feedhorn kit and includes an offset feed support boss which fits most offset dishes. or they could come down twin cable, being kept separate, to two receivers. 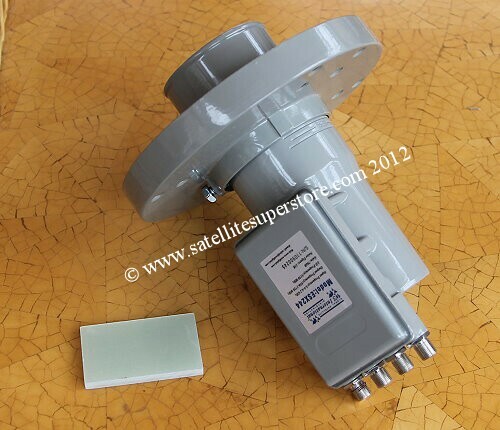 The Ku band LNB is a universal LNB. Prime Focus Feed - single C and single Ku Band (universal) voltage switching LNBF. Prime Focus Feed - C and Ku Band (universal) voltage switching LNBF. 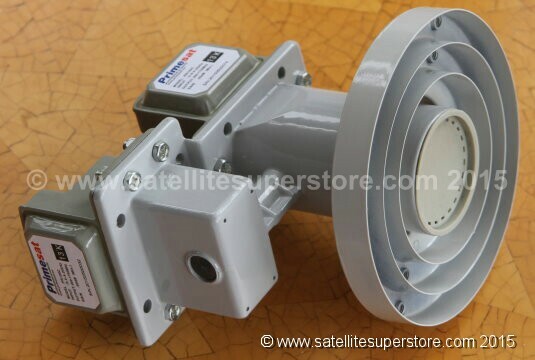 Offset Feed - C and Ku Band (universal) voltage switching LNBF. 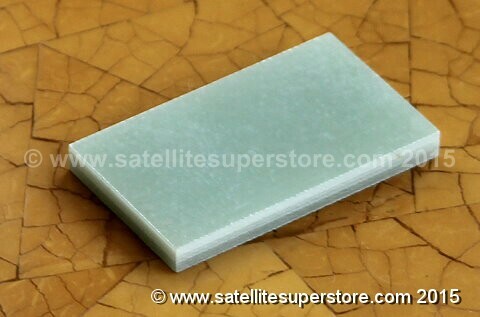 also available only with our C band LNBs. The offset option includes an offset feed support boss. feed support arm. 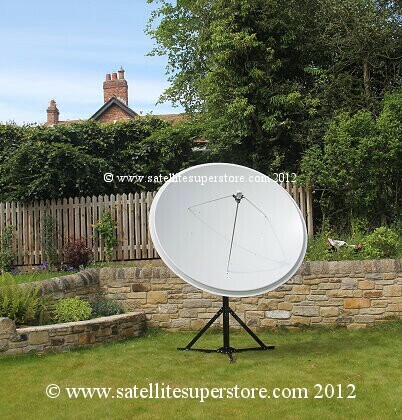 The Gibertini 1.5m dish would be an example of a dish this kit should adapt to quite easily. "UK - small items - free delivery." 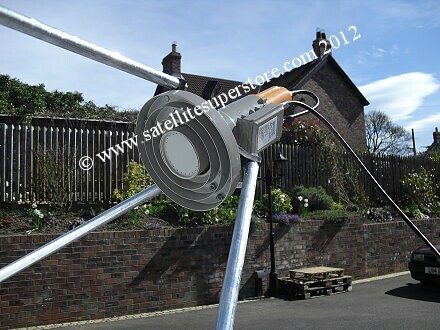 (Includes UK offshore islands) - UK shipping option No 3.
with our c band LNBs. The offset option includes an offset feed support boss. 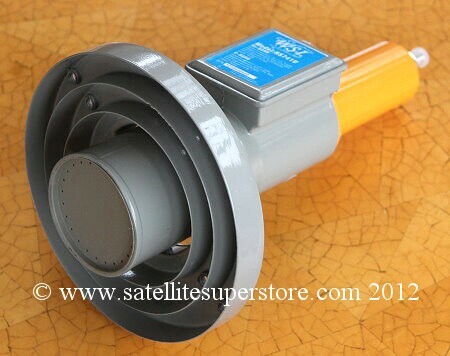 stability + or - 1.5MHz) Scalar ring prime focus feedhorn or flared offset feedhorn. 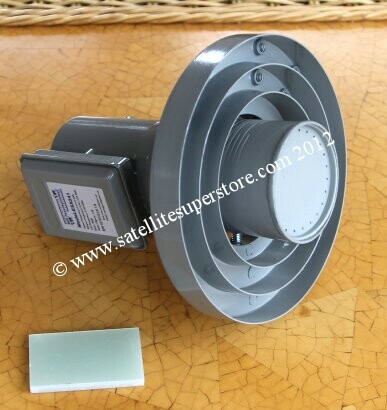 Prime Focus Feed - Twin C Band voltage switching 13K LNBF. Prime Focus Feed - Twin C Band voltage switching 13K LNBF with feed support boss. Offset Feed - Twin C Band voltage switching 13K LNBF. Prime Focus Feed - Quad C Band voltage switching 13K LNBF. Prime Focus Feed - Quad C Band voltage switching 13K LNBF with feed support boss. Offset Feed - Quad C Band voltage switching 13K LNBF. Very low noise - 13K. Designed to fit an a Co-Rotor or C Band dual polarity feedhorn or C Band single polarity feedhorn. CPR229 flange. Input Frequency: 3.4 - 4.2GHz, Output Frequency: 950 - 1750MHz. All Internationals - EU or outside of the EU - choose the �38 by fast courier shipping option. 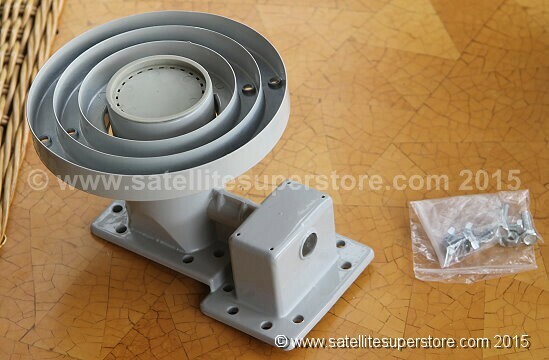 (Formerly Channel Master or Andrews) the stainless steel 60mm support boss for the Raven dish is needed. Discounted oprice when you buy the feedhorn and LNB together. C Band offset feedhorn with feed support boss. 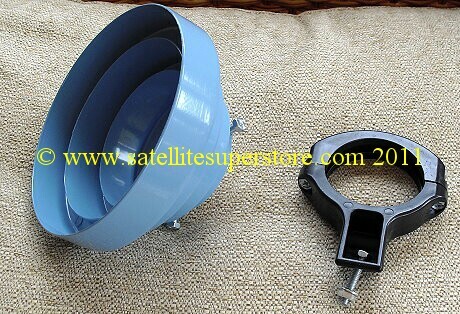 the 60mm necks of C Band LNBs. the bolts at the ends of the rods may need to be altered to suit the size of the holes in the boss. 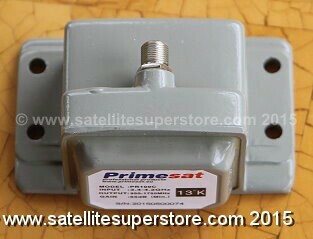 Primesat feed support boss (No 2) for the 60mm necks of C Band LNBs. 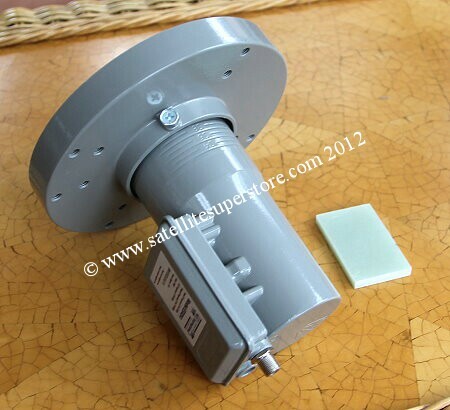 LNBFs and C Band feedhorns have a dielectric plate included but customers may wish to buy them separately. Under �10 there are other shipping options but not free delivery. 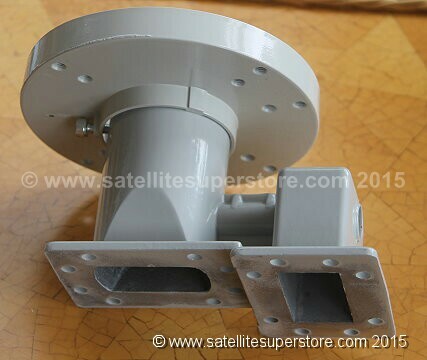 This is a high quality stainless steel bracket / feed support boss for C Band LNBs with an offset feedhorn. 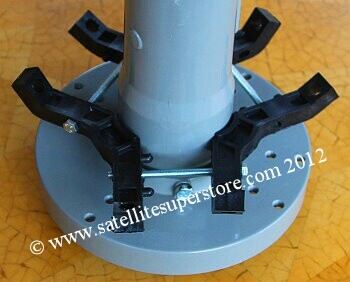 At last a very high quality product for fitting C band LNBs onto the Raven offset dish. 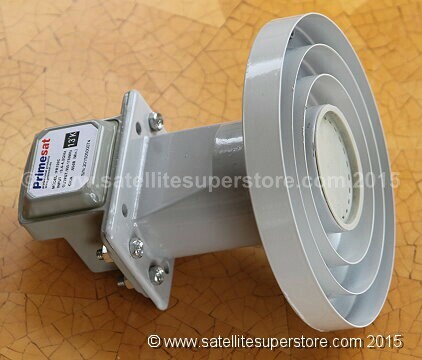 Primesat Dual Polarity C Band feedhorn. companies) between 1980 and 1985. From 1985 on-wards, Ku band started to be used for direct to home satellite. (DTH). concerned, bandwidth by offering more bands. The Physics, however, does not alter and the wave guide remains supreme. feedhorn OMT with CPR229 outputs. 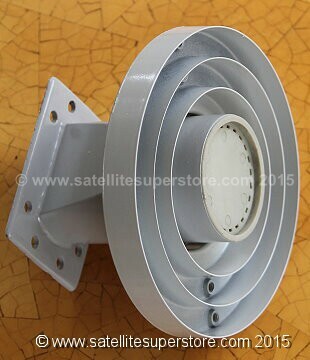 Optional - two CPR229 flange C band LNBs incuded. More infomation below. 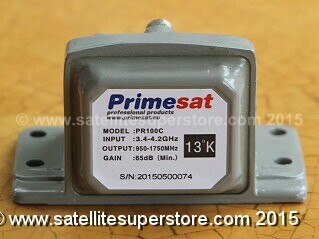 More information on the Primesat Dual Polarity C Band OMT feedhorn. There are several ways of dealing with two LNBs, each carrying one polarity. A simple method could be DISEqC switching. identical satellites can be set up with one handling the vertical channels and the other the horizontal channels. solutions but these suggestions may be worth considering. 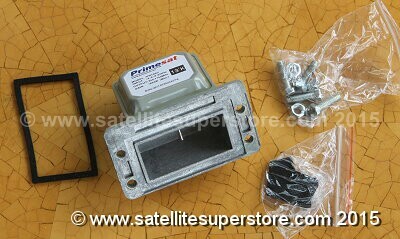 Primesat Single Polarity C Band feedhorn. 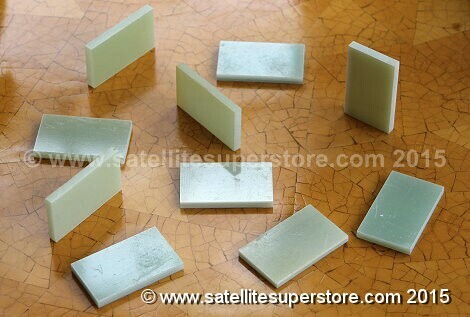 be used for either type of polarisation. 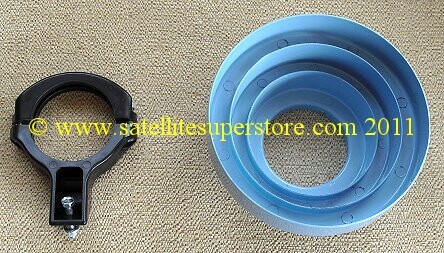 An optional offset feedhorn adapter kit for offset dishes is also available. 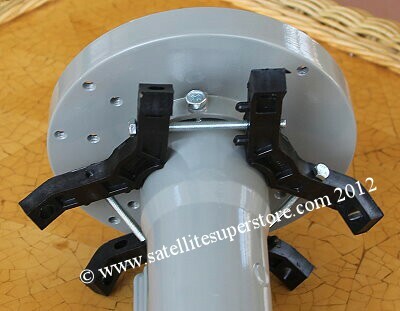 Our new 1.8m Primesat motorised prime focus dish is shown above. Comparing a prime focus dish with an offset dish. Which has the most gain? focused to a very exact well defined position into the feedhorn. and therefore maintain a high signal to noise ratio. 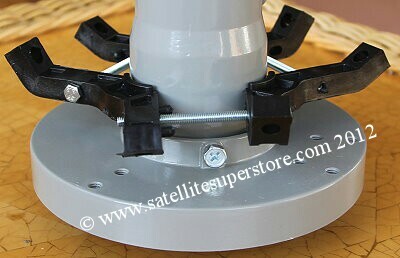 The focal point on an offset dish is not as precise and the feedhorn needs to be flaired to collect the radiation. can, to a greater or lesser extent make up for the shadows on a prime focus dish due to the feed assembly. Some manufacturers, when they quote dish diameter, quote maximum, others quote average and some quote useable. Does the dish work all the way to the edge or is there a roll off area resulting in a much smaller useable area? parabola. once assembled they often lack accuracy. tend to work really well if manufactured by specialist companies that make quality a priority. Dishes can be made of steel, (steel needs to have a good coating to stop corrosion) aluminium, or fibre glass / plastic. or warped in transit or in high winds. nuts and u clamps should be stainless steel. Brass is a good material for long threaded elevation adjusters. 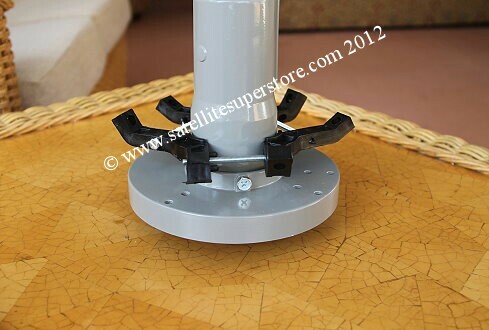 have an adjustable f/d (scalar rings on a threaded adjustment) that can be matched to the dish. 40mm universal lnbs may not be a good match. 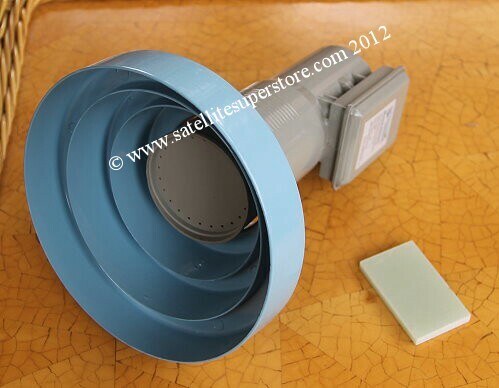 All prime focus dishes should use a prime focus feedhorn with scalar rings. a narrower acceptance angle) Whether prime focus or offset, a matched feedhorn should improve the signal to noise ratio. prime focus dishes and some poor quality low cost petalised prime focus dishes. As usual "you get what you pay for". 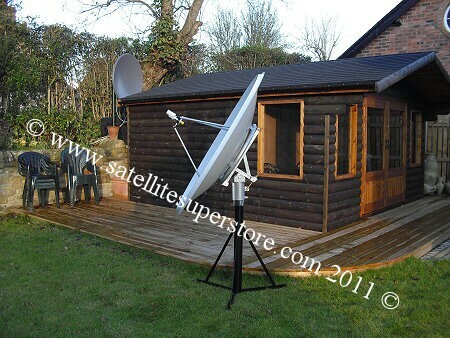 satellite TV started in the UK in 1985 all dishes were prime focus. The offset dish reflects the radiation downwards and so the dish face is more vertical (there is an offset angle). useful signal (High signal to noise ratio.) quality dishes.